Melita has partnered with Ericsson to give the public the highest quality mobile network available on the island, Simon Montanaro, Chief Technical Officer at Melita, tells Kristina Cassar Dowling. Every day, practically every minute of the day, we are connected to some kind of network, be it at our office desktop computer scrolling away, happily sat on our couches watching our favourite TV show or even driving to our favourite restaurant while – with our smartphones connected to our car’s Bluetooth set-up – blasting some catchy tunes. We’re constantly connected – and the truth of the matter is that most of us wouldn’t have it any other way. Melita’s journey through technological advances in 2018 will soon be launching 5G-ready coverage for the entire population of Malta and Gozo. 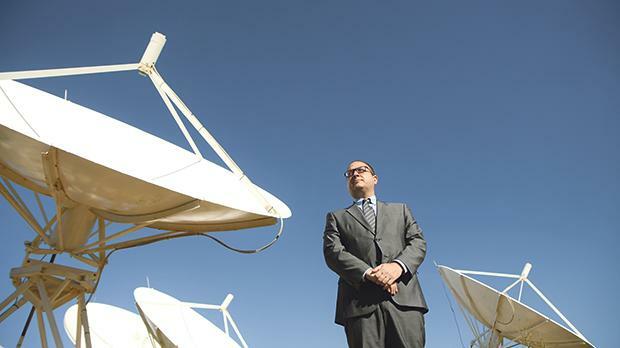 “We are currently 85 per cent of the way there, as 5G-ready mobile network covers most of the Maltese islands and by the end of 2018 full coverage will be achieved,” says Chief Technical Officer Simon Montanaro with a satisfied smile. This bold move will be making use of the latest and most sophisticated mobile technology providing Melita’s customers with intelligent networks, resulting in higher quality services. Melita’s work throughout the year has of course caused some disruption to the network, resulting in fragmented service to localities for a short time – while Montanaro and his team are apologetic for this disruption, they ensure that the updated services will be top of the line. “As we become more mobile dependent, our connectivity needs to be more secure and reliable,” explains Montanaro. “With better coverage, increased speed, minimised latency and stronger connectivity we will be achieving supreme user-experience. Melita customers who own 4.5G supporting devices have been connected to the service automatically, without any additional charges. While the network works towards fully optimising itself to achieve full potential, clients may temporarily experience fluctuations in user-experience. Once speed, reliability and capacity are fully achieved within the server, all Melita customers with 4.5G capable devices will enjoy increased speed, faster data transfer capacity and stronger connections through the Ericsson network. This transition needs a whole lot more than a few wires jovially connected to a sturdy machine. Rather it requires a fully optimised infrastructure, this is run from Melita’s hub at the headend in Madliena, where Montanaro guides his team of techies to monitor, develop as well as maintain the multi-million investment servicing a great portion of the population. The Madliena site is also the location of Melita’s data centre where data can be stored and shared through highly secured methods. The data centre acts as a lodging area for servers to the iGaming, FinTech and banking industries where racks on the high-tech servers can be rented out to offer businesses highly efficient services for data storage with optimum protection. “The security levels we employ here are your picture of in-depth quality,” Montanaro says.